This honey liqueur is simply delicious. It is an adaptation I made from Jane Lawson’s Snowflakes and Schnapps cookbook. It’s a beautifully done cookbook, rich with food photos and simple, wholesome (and gourmet) recipes. I highly recommend getting yourself a copy, not just for the visual feast, but the way she takes you on a culinary tour of Europe with her recipes. There’s something about this liqueur that says sweet comfort. It’s full of flavor, and if you’re sipping it neat you can really taste the subtle flavors. Before you make this decide on what kind of honey to use. 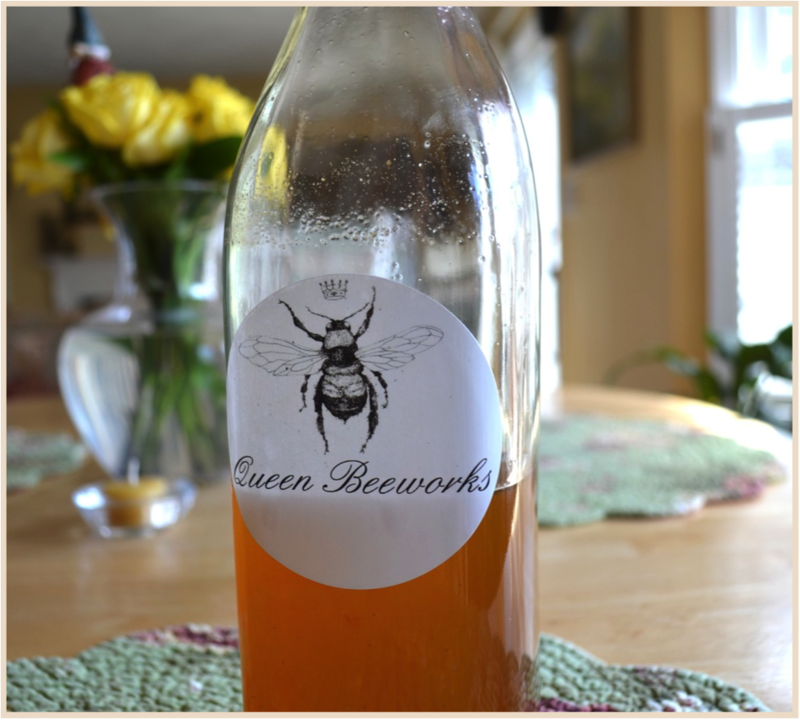 If you want a more robust, earthy flavor (my favorite) use the darker fall harvest honey. If you would prefer a lighter, more delicate flavor that will highlight the infusion, choose the lighter, spring harvest honey. 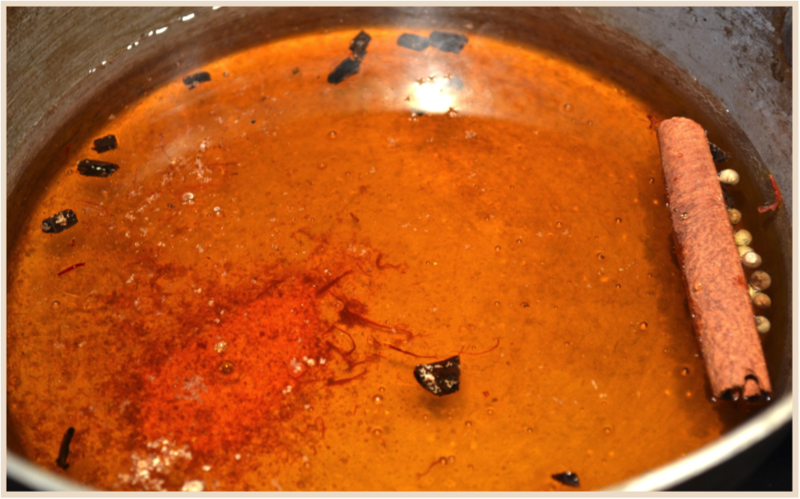 Put the honey, water, cinnamon stick, chopped vanilla bean, peppercorns, nutmeg, and saffron in a saucepan and bring just to boil. Quickly reduce the heat and simmer for 5 minutes. Remove from the heat, add the lemon zest and set aside to infuse for 20 minutes. Reheat until simmering, then remove from the heat and cool completely. Once cooled, strain through a fine mesh sieve, and add the vodka. Carefully pour into a sterilized airtight bottle and allow to the flavors to infuse at room temperature for a week before drinking. Neat (my favorite way) or On The Rocks. Martini: 2 parts vodka or gin, 1 part honey liqueur. Add a lemon twist. Whiskey/Scotch/Bourbon: equal parts honey liqueur and spirits, iced or neat.